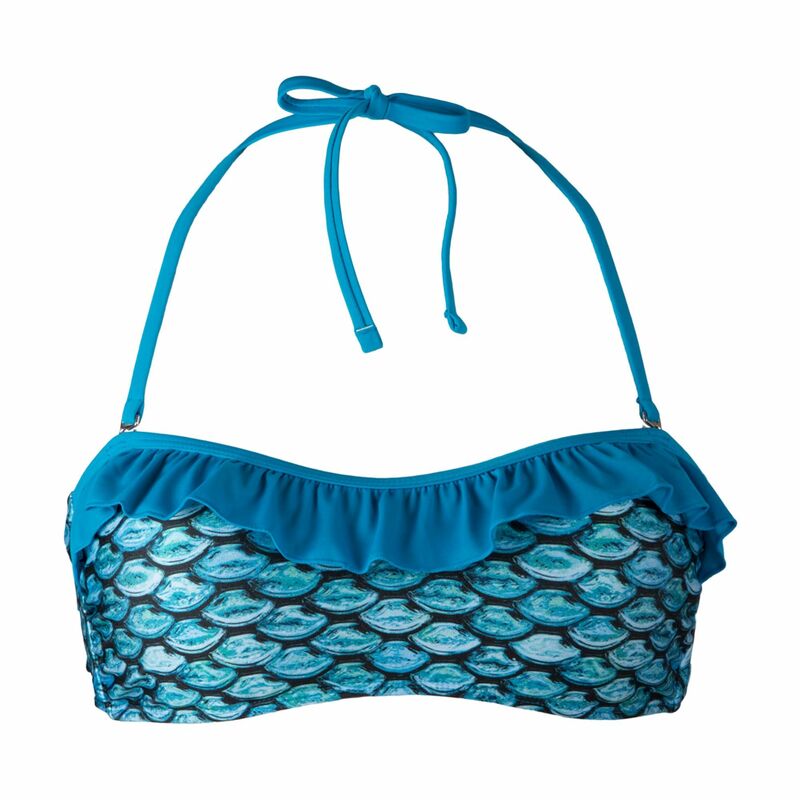 All new swimwear made with comfort in mind!Breathtaking shades of teal and turquoise will have your heart pounding for this unique scale design bandeau bikini top. 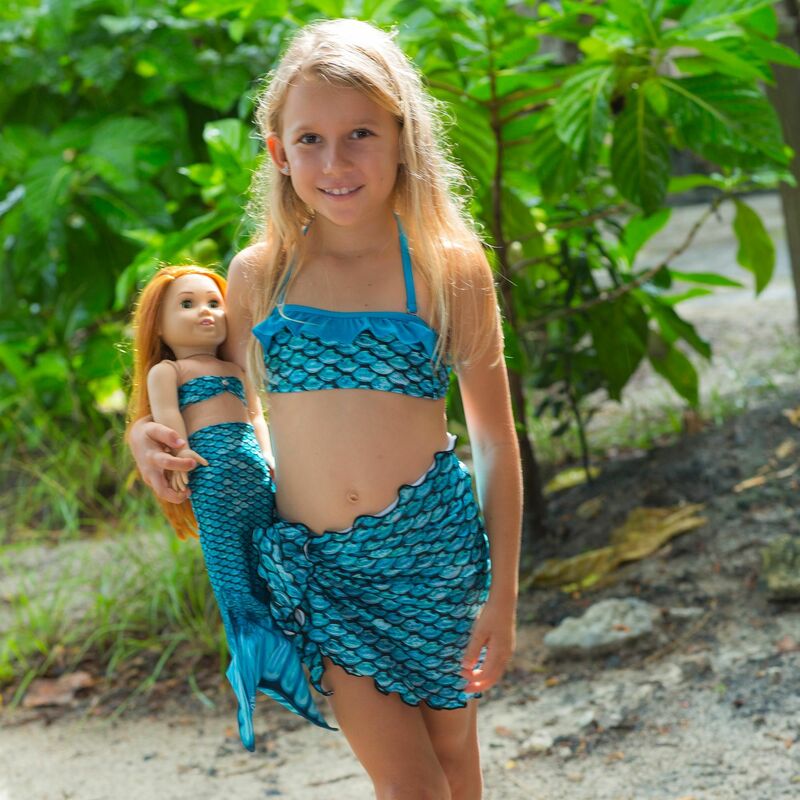 Plus, you can make a perfect set by coordinating this top with Mariana’s Tidal Teal Mermaid Tail! With a flirty teal ruffle that accents the rich blue shades of our signature design, the Tidal Teal Bandeau Bikini Top is the perfect choice for a sea-loving mermaid. 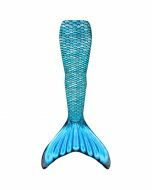 Our Mermaiden Collection design will take your breath away when you see how the lifelike scale pattern comes alive in the water. 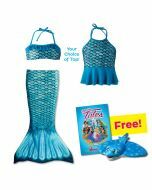 Plus, you’ll love our durable swim top straps that can be tied around the neck or removed entirely for a more tropical style. 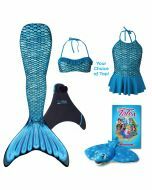 Matching Tidal Teal bikini bottom sold separately. 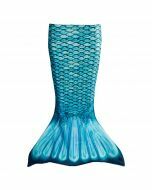 Meet Mermaiden Mariana at www.finfriends.com!